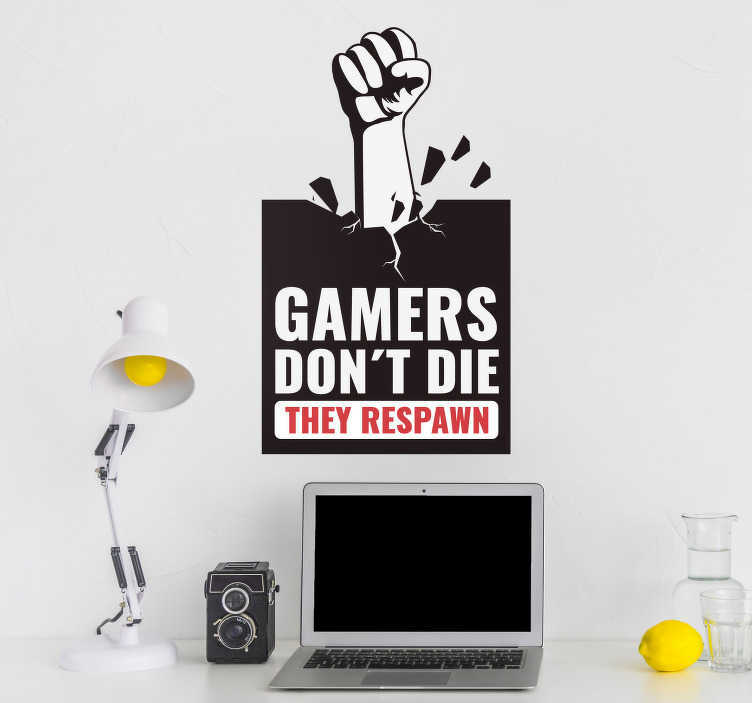 Gamers don´t die, they respawn! Any avid gamers out there will surely attest to the message portrayed by this fantastic wall text decal! If you love to game then you know that you will always respawn, no matter what happens! Perfect bedroom decor for those who just love to game!